While looking for some potato chips I stumbled across this interesting bag. I was imagining they’d be like Sticks chips in New Zealand but nope. 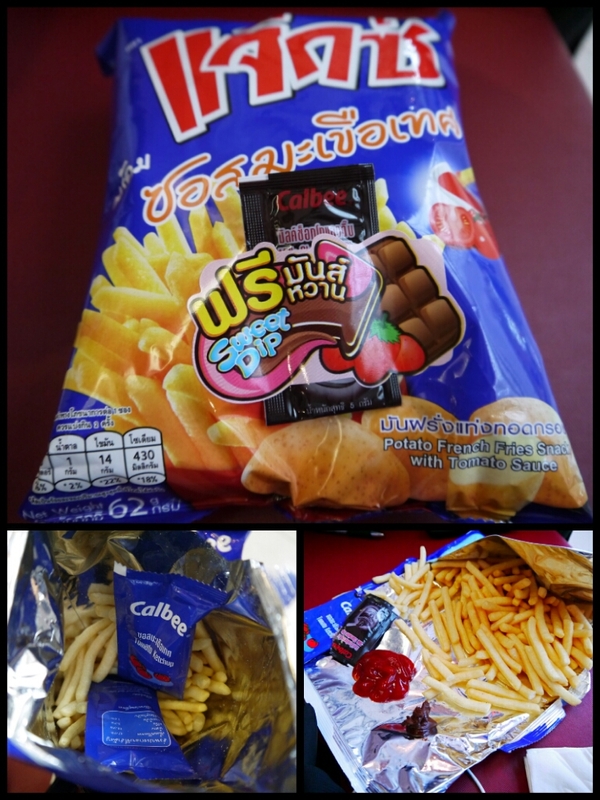 At first I was thinking salty and tomato sauce flavoured chips and the odd part I thought would be the chocolate dipping sauce. But on opening the bag I saw that not only did it have chocolate dipping sauce, but the tomato sauce was in an actual sachet. As you can see they really did look like French Fries! They tasted nice, especially dipped in tomato sauce, but not so much the chocolate! I’d probably still prefer the salty goodness of NZ Sticks. That is TOO weird – and I’m sure it can’t be good for you !